The highly qualified and competent members of our office team will deal with your spare parts orders, service & repair jobs and will assist you if you have any questions regarding the upgrading of Fassmer release and retrieval systems or the rehooking of non-Fassmer lifeboats with Fassmer release and retrieval systems. We look forward to receiving your inquiries! With our Service team we are well positioned to provide a top-quality, time-saving service here or at any other location around the world. 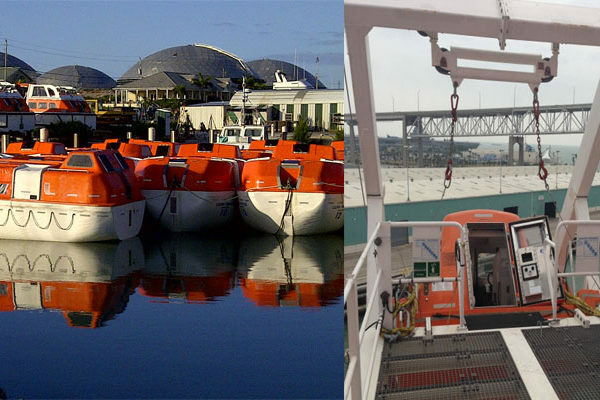 Our service engineers are highly qualified and authorized to conduct the installation, commissioning and testing of lifeboats, davits and deck equipment made by Fassmer or other manufacturers on vessels, offshore plants, oil rigs, cruise liners and yachts. They are trained according to the highest Fassmer quality level and SOLAS regulations. Our service engineers in more than 45 service stations all over the world are also trained and qualified to the same standard and we all live and work to same idea.